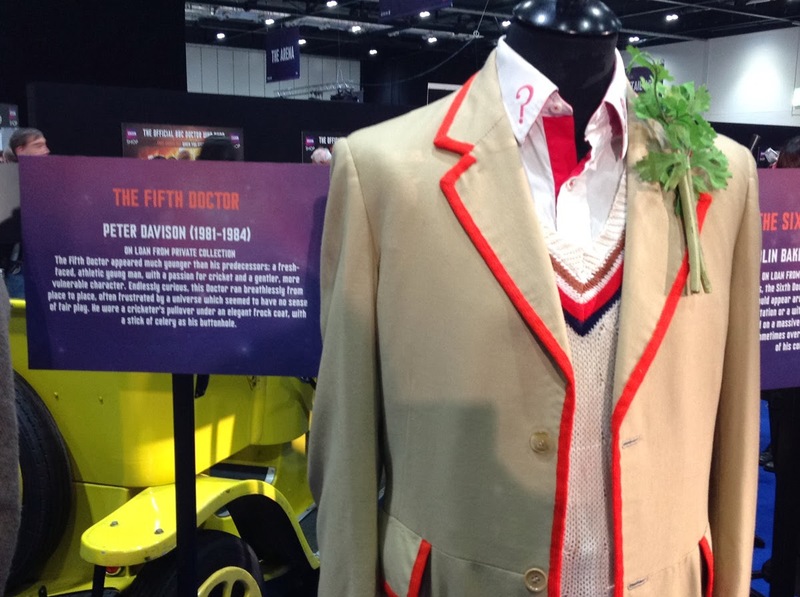 The Fifth Doctor costume on show was straight out of the Experience, though have to say that celery is pretty enormous! 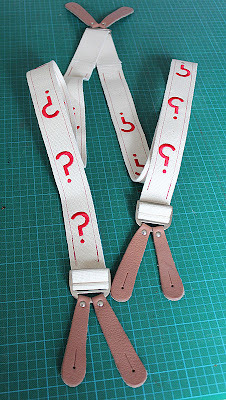 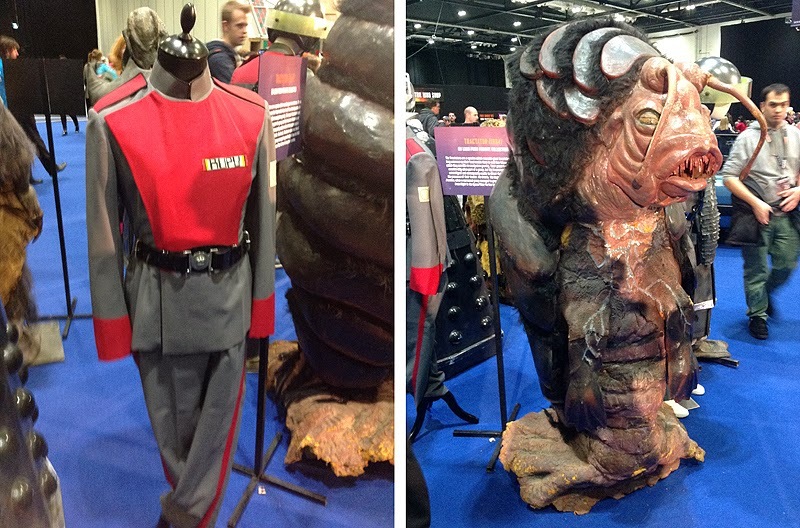 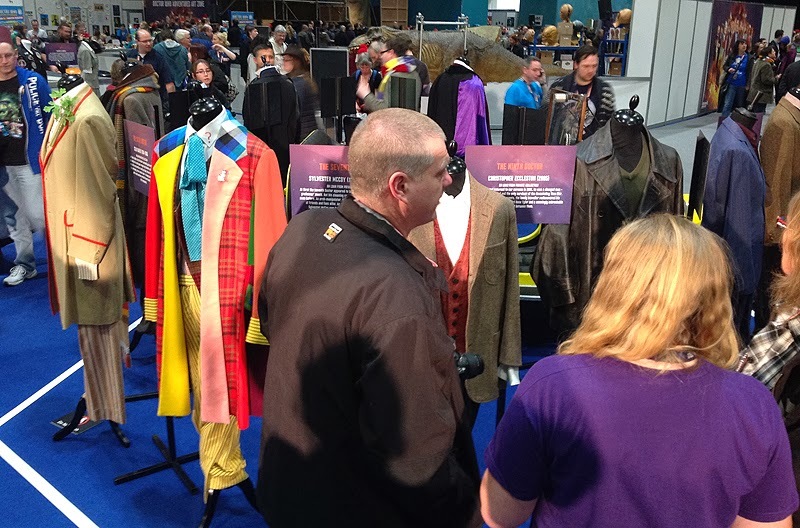 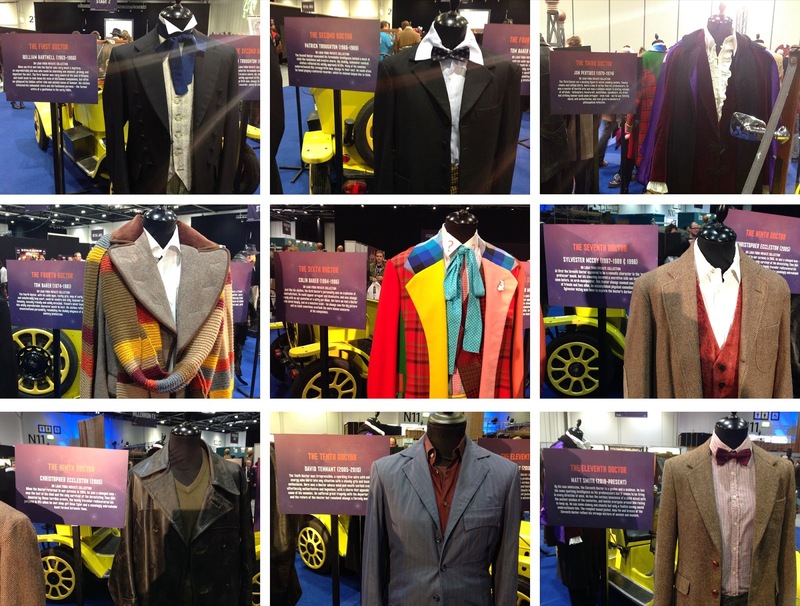 Other Fifth Doctor item on display included a Tractator and uniform from Frontios. 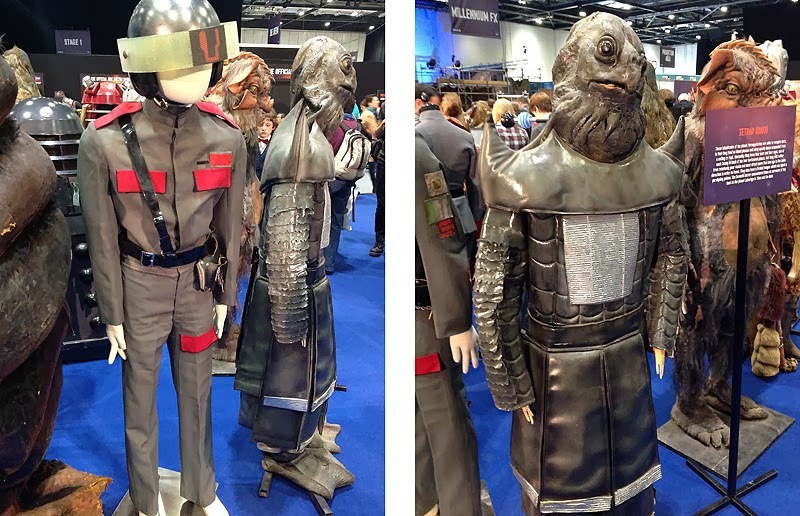 Also a Sea Devil from Warriors Of The Deep alongside a costume repurposed from Blake’s 7. 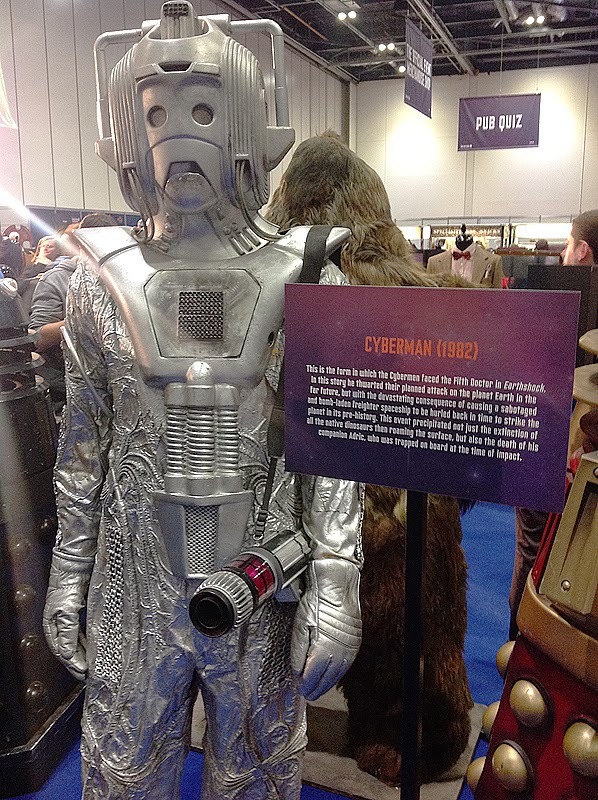 There was also a Cyberman costume from their return in Earthshock. 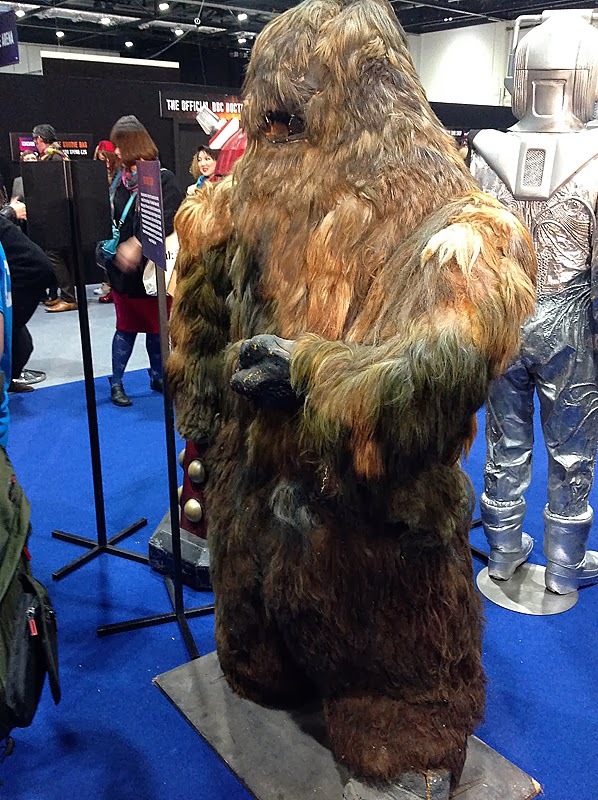 Finally, there was an original Yeti from The Web Of Fear. 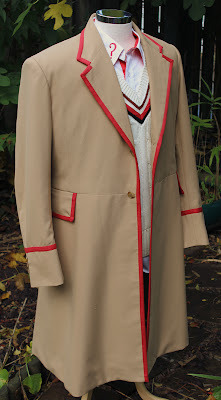 Since I don’t have a Second Doctor blog I’m including it here, as it appeared in The Five Doctors.